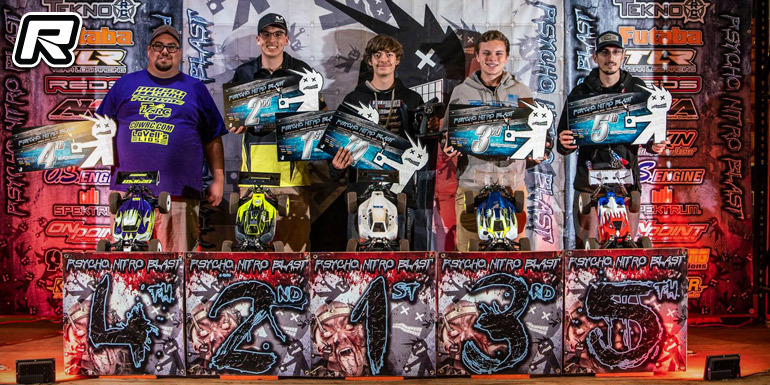 Last weekend’s 2019 Psycho Nitro Blast was held at the Walter State Expo Centre in White Pine, Tennessee. The unique event with 24 hours of practice is quite exhausting but rewarding at the same time. In Open Nitro Truggy it was Cody Saner with the overall TQ, however in the end it was Brad Collins with a popular win. Brad started 14th on the grid and was a little nervous the first few laps knowing he was faster than 14th, trying to get around all the traffic was getting under his skin. Collins stayed calm with the help of Chris Lowe on the mic and was able to have a clean start and with a good joker lane strategy he was able to come out in front by 2/3 of the race and lead the rest of the way to take the title in front of Shane Barrier and Michael Percell. Shawn Fraser and Cody Saner would round out the top 5. Brad Collins has set the overall TQ in Open E-Buggy qualifying and in the 10-minutes A-main final he was able to pull off to a 21 second lead in the first half but about gave it away in the last few laps with his first mistakes being all at the end Brad would only end up holding on to the top spot by 0.4 of a second from Bryan Kara in 2nd. Ben Pinover came in 3rd, Cowboy Risser ended in 4th and Travis Jones rounded out the top 5. 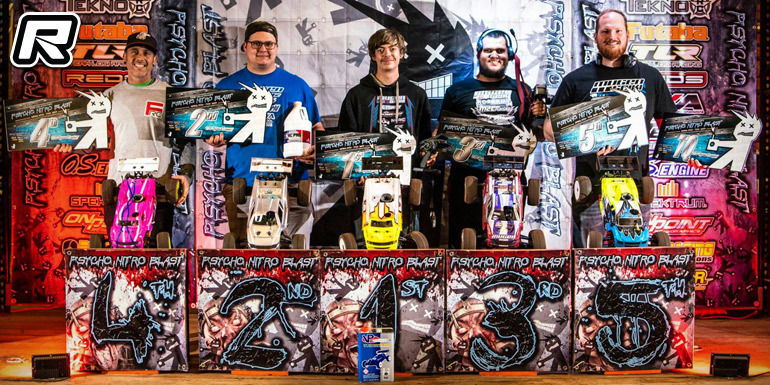 The post Brad Collins doubles at 2019 PNB appeared first on Red RC - RC Car News.